This helped me alot. 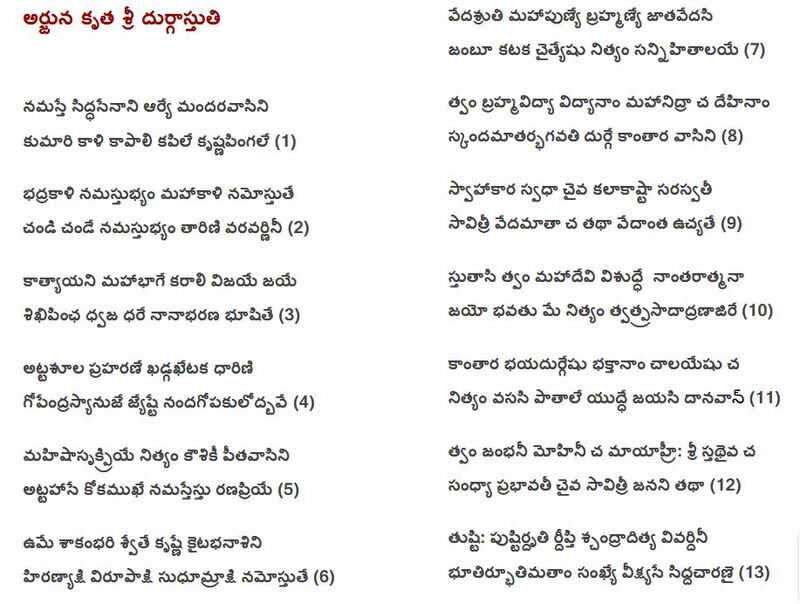 Hope you will also find solace by reciting this 13 stanza stothram 9 times a day. In this landmark judgment from Supreme Court, it was held that. (iii) he may take cognizance of the offence under section 190(1)(a) on the basis of the original complaint and proceed to examine upon oath the complainant and his witnesses under section 200. If he adopts the third alternative, he may hold or direct an enquiry under section 202 if he thinks fit. Thereafter he may dismiss the complaint or issue process as the case may be. Chapter XII of the Code of Criminal Procedure 1973 deals with information to the Police, and their powers to investigate. Sec. 156 (1) vests in an officer incharge of a Police Station the power to investigate any cognizable case, without the order of a Magistrate. Sec. 156(3) authorises a Magistrate, empowered under Sec. 190, to order an investigation as mentioned in Sec. 156(1). The provisions from Sec. 157 onwards are concerned with the power and procedure for investigation. Sec. 169 prescribes that if upon an investigation it appears to the officer incharge of the Police Station that there is no sufficient evidence or reasonable ground of suspicion to justify the forwarding of the accused to a Magistrate, such officer shall, if such person is in custody, release him on his executing a bond (with or without sureties) to appear if and when required, before a Magistrate empowered to take cognizance of an offence on a police report and to try the accused or commit him for trial. Sec. 170 prescribes that if upon investigation it appears to the officer incharge of the Police Station that there is sufficient evidence or reasonable ground of suspicion to justify the forwarding of the accused to a Magistrate, such officer shall forward the accused under custody to a Magistrate empowered to take cognizance of an offence on a police report and to try the accused or commit him for trial. If the offence is bailable the officer shall take security from him for his appearance before such Magistrate on a day fixed and for his attendance from day to day before such Magistrate until otherwise directed. Sec. 173(1) casts a duty upon the police officer to complete the investigation without unnecessary delay. Sec. 173(2) prescribes that as soon as the investigation is completed the officer incharge of the police station shall forward to a Magistrate empowered to take cognizance of an offence on a police report, a report in the prescribed form stating the various particulars mentioned in that subsection. It is seen from the provisions to which we have referred in the preceding paragraphs that on receipt of a complaint a Magistrate has several courses open to him. He may take cognizance of the offence and proceed to record the statements of the complainant and the witnesses present under Sec. 200. Thereafter, if in his opinion there is no sufficient ground for proceeding he may dismiss the complaint under Sec. 203. If in his opinion there is sufficient ground for proceeding he may issue process under Sec. 204. However, if he thinks fit, he may postpone the issue of process and either enquire into the case himself or direct an investigation to be made by a Police Officer or such other person as he thinks fit for the purpose of deciding whether or not there is sufficient ground for proceeding. He may then issue process if in his opinion there is sufficient ground for proceeding or dismiss the complaint if there is no sufficient ground for proceeding. cognizance of the offence, order an investigation under Sec. 156(3). The police will then investigate and submit a report under Sec. 173(1). On receiving the police report the Magistrate may take cognizance of the offence under Sec. 190(1)(b) and straightaway issue process. This he may do irrespective of the view expressed by the police in their report whether an offence has been made out or not. The Police report under Sec. 173 will contain the facts discovered or unearthed by the police and the conclusion drawn by the police therefrom. The Magistrate is not bound by the conclusions drawn by the Police and he may decide to issue process even if the Police recommend that there is no sufficient ground for proceeding further. The Magistrate after receiving the Police report, may, without issuing process or dropping the proceeding decide to take cognizance of the offence on the basis of the complaint originally submitted to him and proceed to record the statements upon oath of the complainant and the witnesses present under Sec. 200 Criminal Procedure Code and thereafter decide whether to dismiss the complaint or issue process. The mere fact that he had earlier ordered an investigation under Sec. 156(3) and received a report under Sec. 173 will not have the effect of total effacement of the complaint and therefore the Magistrate will not be barred from proceeding under Sections 200, 203 and 204. Thus, a Magistrate who on receipt of a complaint, orders an investigation under Sec. 156(3) and receives a police report under Sec. 173(1), may, thereafter, do one of three things: (1) he may decide that there is no sufficient ground for proceeding further and drop action; (2) he may take cognizance of the offence under Sec. 190(1)(b) on the basis of the police report and issue process; this he may do without being bound in any manner by the conclusion arrived at by the police in their report: (3) he may take cognizance of the offence under Sec. 190(1)(a) on the basis of the original complaint and proceed to examine upon oath the complainant and his witnesses under Sec. 200 If he adopts the third alternative, he may hold or direct an inquiry under Sec. 202 if he thinks fit. Thereafter he may dismiss the complaint or issue process, as the case may be. Supreme Court in this judgment has held that magistrate, when he disagrees with the final report submitted by Police, should follow the process from CrPC 200. In this judgment from Hon’ble High Court of Andhra Pradesh, it was held that before issuing Non bailable warrants, magistrate has to exhaust the options of summons and bailable warrants to secure the presence of accuse. Having regard to the above, while we see no reason to interfere with the High Court’s decision to reject the petitioner’s prayer for quashing of the proceedings in Complaint Case No.307 of 2007, we also make it clear that the learned Magistrate may proceed with the trial relating to the offences alleged to have been committed in India. However, in respect of offences alleged to have been committed outside India, the learned Magistrate shall not proceed with the trial without the sanction of the Central Government as envisaged in the proviso to Section 188 Cr.P.C. This is a judgment from Apex Court wherein it held, it has power to transfer of case across states and that include transfer to/from Jammu & Kashmir State of India.